Quitting nicotine is still considered to be the biggest challenge of people who are habitual to it. The regular intake of nicotine can harm the lungs, brain and sometimes also the blood. So, in an overall sense consumption of nicotine is injurious to health. However there are many means of nicotine intake but the most common one is cigarette puffing. Cigarette smoking starts with a style statement and ends up in cancer. It is actually life taking and more than that, it is brings a big financial loss as well. It is of course a challenge but is definitely not something which cannot be achieved. In this article, we are going to tell you how you can quit smoking and that too within months. We are highlighting some effecting tips that would surely help you out in leaving this habit. 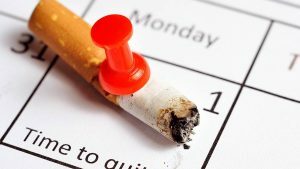 Set up a Date to Quit Smoking: While a mission is on, you should set a timeline for the same. For quitting smoke, you have to set up a date when you would be doing the same. Without a goal mission is not possible and the same goes with your smoking habit as well. Look Forward: You should attain a higher level of positivity with regards to leaving cigarette. It should come from within. Look forward for the changes that it will bring your life like good health, peace of mind and ultimately you can win the battle. Puff a Final Cigarette: Now, as the mission is at the final stage, you need to puff a final cigarette. Make sure it is your final one and you are not going to puff it anymore whatever the case maybe. Socialize: You should socialize yourself and don’t ever think of leaving your social circle because solitude will drag you more towards it. So, it is better that you enjoy the company of your friends because it will fill positivity in you. Be Firm: You should be firm in your decision because ultimately it is you only who can make yourself to win the battle. It is much required that you handle the tough mental stress with your strong willpower. Enjoy a smoke free life and definitely it will bring happiness in you. It will bring ultimate peace and comfort in your life and also fill you up with lot of positivity as well. Even if after your best efforts things are not getting done then you can consult a psychiatrist in that case. Not able to sleep, well it is not something people take seriously but it should be taken. Not getting proper sleep a time is one thing and not able to sleep every night is another. Getting problem in sleeping is definitely a problem and it is much required to understand the problem before it becomes something much serious. 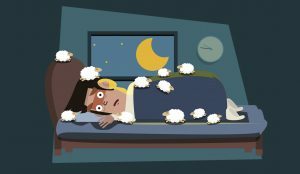 In this article, we are going to highlight the symptoms of insomnia that will help you to understand the things better. Below mentioned are the signs that tell that the person is maybe suffering from insomnia. It is required that one should understand the things better and hence could take the timely treatment if required. So below-mentioned are the signs of insomnia that should not be ignored in any case. There may be many reasons for insomnia. One amongst the common reason that emerges out is stress. Due to stress over the things there are people who are unable to sleep properly. Another reason that emerges is other sleep disorders other than insomnia also give the worst experience of sleep to people. Mental disorder can also be a reason of not getting proper sleep. Alcoholism or excessive intake of nicotine is also one amongst the reason for not getting the proper sleep. Taking medicines for anything and that too for a longer period of time has also been found to be a reason for not getting proper sleep. Environmental factors are also amongst the reason for not getting the appropriate sleep at night. Other than all these habits the changed lifestyle is also one amongst the most important reasons for insomnia. Consulting a good doctor and that too in the appropriate time is required to fight with the disease and to recover fast. Alcohol consumption is not bad when you are taking it in limits but not everyone understands the word limits when associated with alcohol. Limiting the consumption of alcohol is definitely not an easy task and hence it needs to be monitored. There are many diseases that alcohol carries and more than this, it is the mental trauma for the family and loved ones which is brought by alcohol. So, limiting the consumption is necessary. It is actually a tough task to handle and needs a strong will power. Not everyone who starts the mission gets succession in the same and hence once is required to tackle the situation much smartly. Here we are with few very important tips that will help in cutting down the consumption of alcohol. Leaving it all at a sudden could be difficult and you can leave it slowly only. For this, you should consider drinking low alcohol beers, or at least do not drink ‘strong’ beers or lagers. Having a self control over the consumption is necessary. Try pacing the rate of drinking. Replacing the alcohol with soft drinks will also help you to win the battle. As per psychology, the more you eat the lesser you drink. So, if you eat when you drink, you may drink less. In this way, you can limit the consumption of alcohol. Getting back to a social routine will help you to quit alcohol and that too quickly. It would be always a great act to surround yourself with social circle or company of good friends where you will find no need for alcohol. Cutting back on social activities can make you to drink more, hence if you really wish to quit drinking then try to get back into a good circle where you may not find solitude. Encouraging social activities that may not encourage drinking will also help you to cut down the consumption of the same. And, last but not the least; you should try to resist pressure from people who encourages you to drink more than your desires. This is what will define your strong will power. 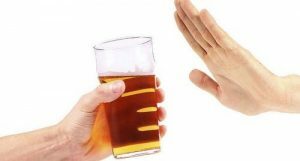 Even if you have tried the best from your side and still not able to quit alcohol, you should consult a good doctor for alcohol de addiction. A timely consultation will always bring the best result.